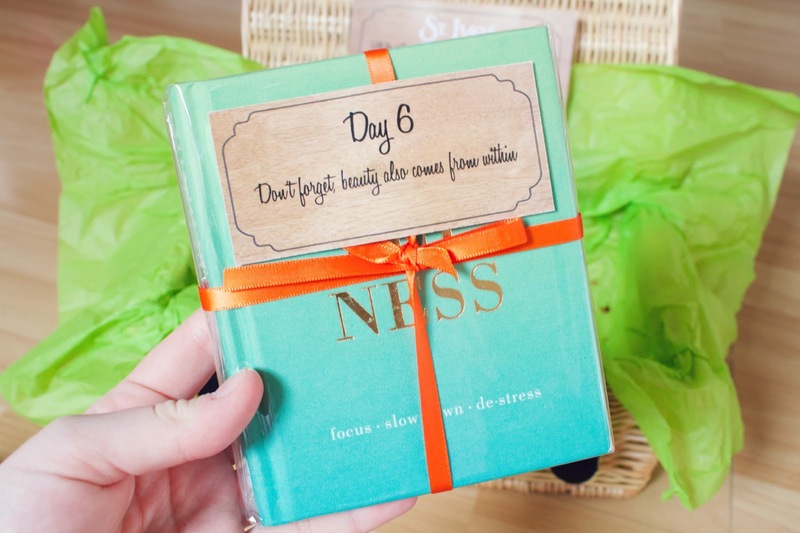 St Ives 7 Day #BrightSkin Challenge! 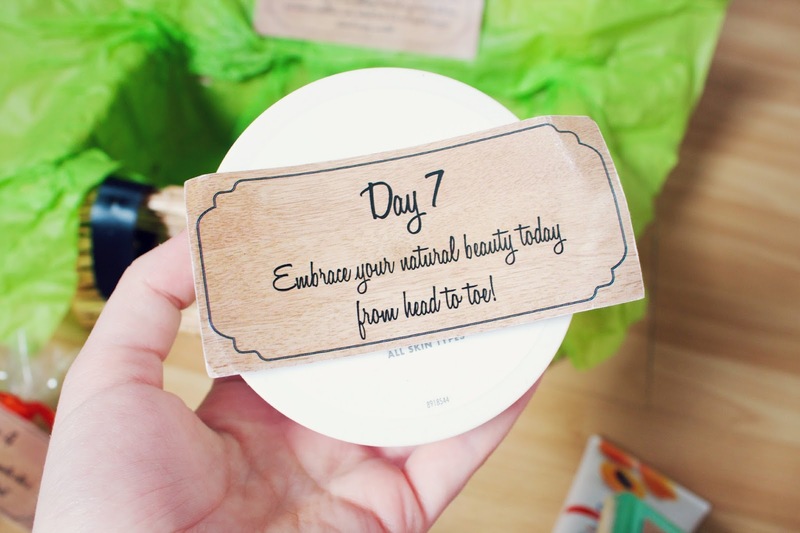 I was really excited to be asked to take part in St Ives 7 day Bright Skin challenge as I've been feeling a bit poorly and run down for the past few weeks. 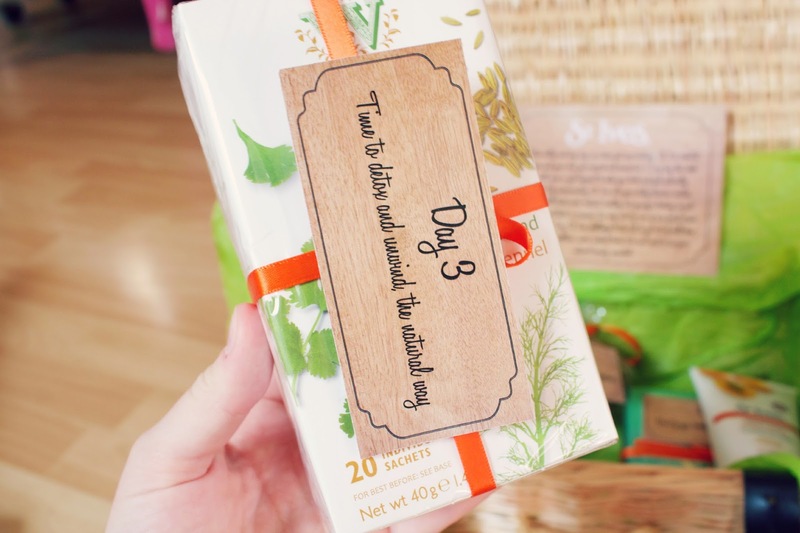 I received an amazing hamper full of treats to help my skin and body, including yummy snacks, skincare items and beauty products! Each item was for a different day of the challenge. 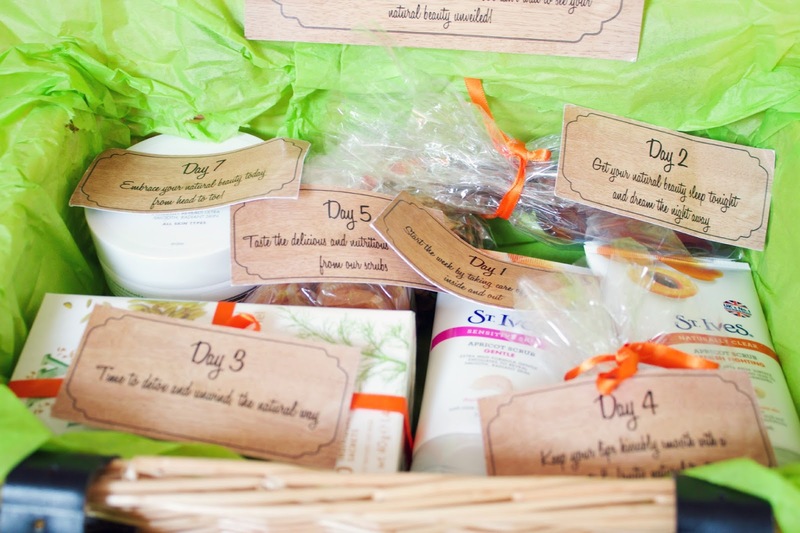 Day one's items were the St Ives Apricot Face scrubs, I've used these for years and absolutely love them. They have different versions for different skin needs, for example Sensitive skin and Blemish Fighting. These scrubs are amazing for blackheads, removing dead skin cells and making your skin look brighter. 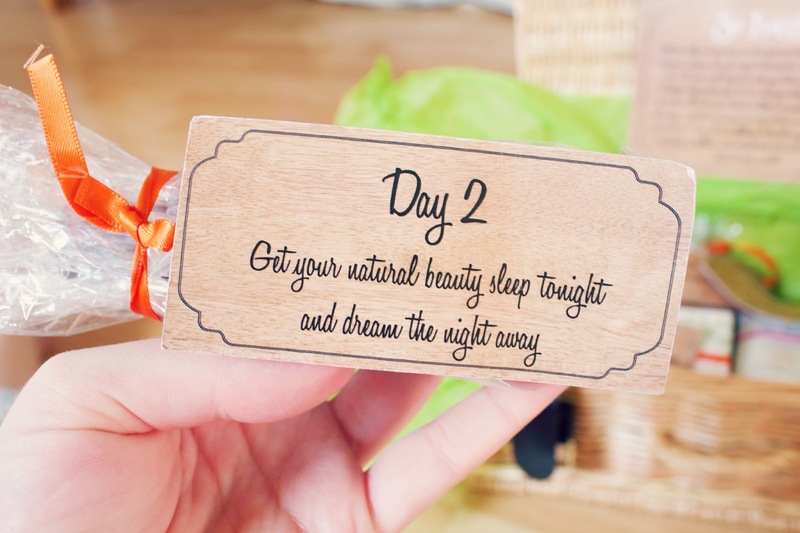 Day two was the Body Shop Deep Sleep Dreamy Body Mist, this is to help your body sooth and aid a good nights sleep. I have been using it every night and absolutely love it, the smell is really lovely, it's very citrusy and fruity. This item was Whittards Organic Detox Infusion, this contains no caffeine so it's great to drink at night to unwind. I absolutely love herbal tea, it's pretty much the only hot drink I like! I've drunk green tea for years as it is amazing for your skin as well as aiding weight loss! I've always wanted to try the EOS lip balms and in the package was the Tangerine flavour. This is now probably my all time favourite lip balm! I adore the flavour, it is exactly like Starbursts! I am definitely going to purchase more of them as they are amazing and their design is really unique and cute! 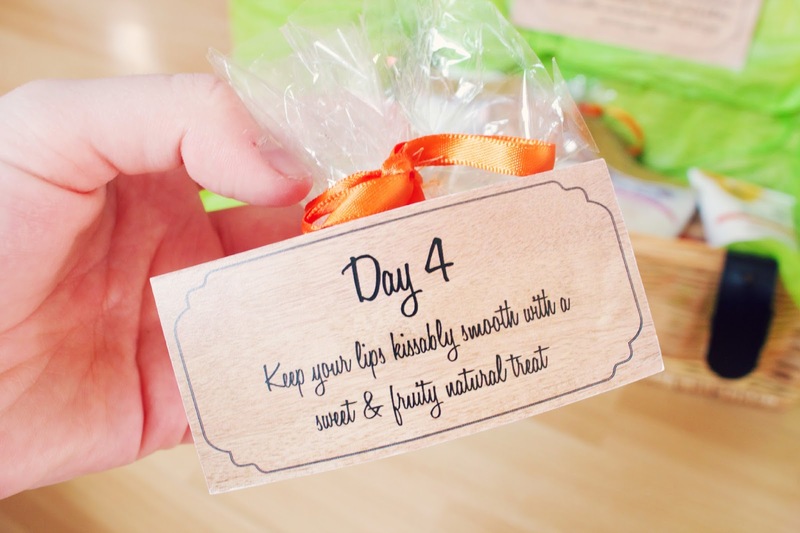 This part of the package contained dried apricots, (the main ingredient of the St Ives face scrubs) your diet is very important in how your skin and body is. 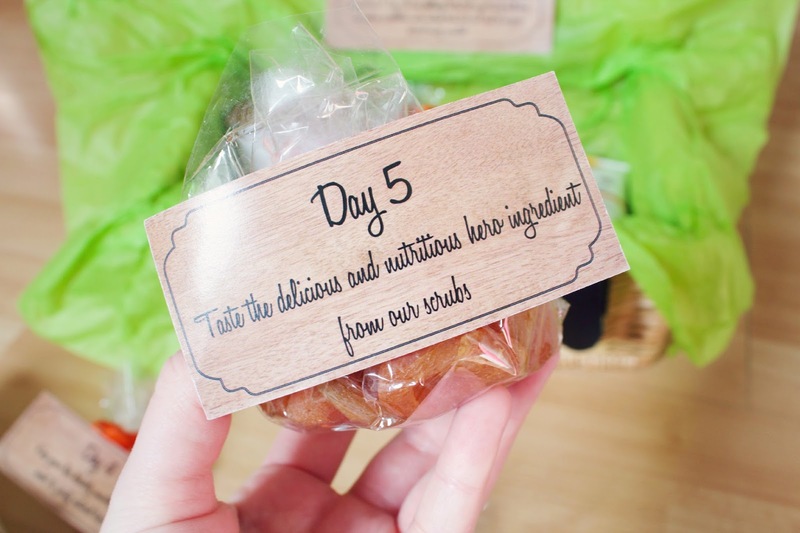 I absolutely love dried fruit so these were a lovely treat! "More and more of us are suffering from the stresses and strains of modern life. Mindfulness is an increasingly popular discipline that can not only help alleviate the symptoms of stress, anxiety and depression brought on by the pressures of our daily existence but can actually bring calm, joy and happiness into our lives." This book is very tiny so can be carried around with you and read on the go and would also be a great gift idea! 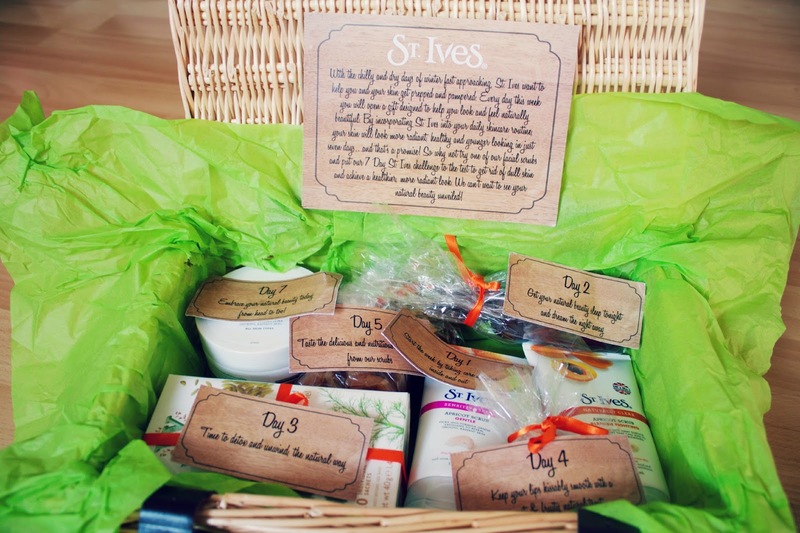 The final product was the St Ives Apricot Body Scrub, this is the body scrub version of their face scrub. This is invigorating and perfect for making your skin feel super soft! 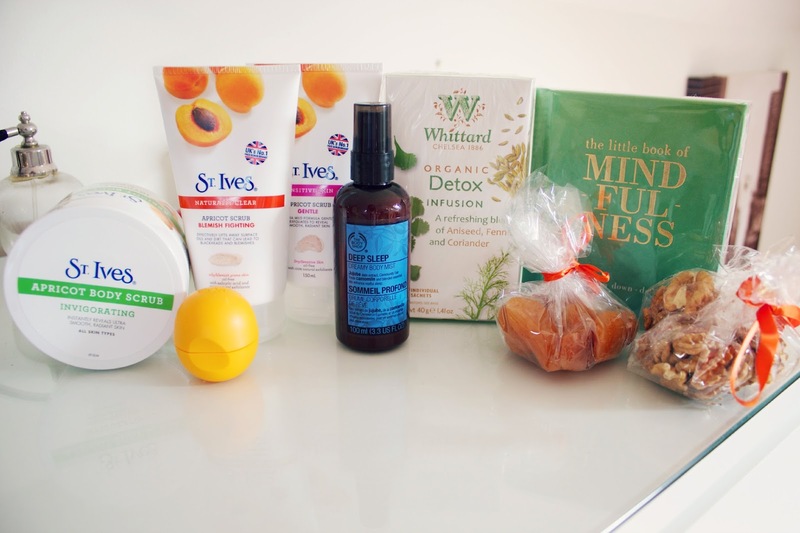 This was such a fun challenge to do and I've discovered some really great products to help my skin and body in the process, I would really recommend the Body Shop Deep Sleep Body Mist, the St Ives Face Scrubs and the EOS Lipbalm, they were my favourites!